Take action to protect your children from injuring themselves while running a faucet in the kitchen or bathroom. Scalding injuries are one of the top reasons people show up at emergency rooms with burns. Kids, of course, are especially vulnerable, but there are several ways you can minimize chances you’ll need to make that trip to the ER. First, make sure the temperature on your water heater is set no higher than 120 degrees. You won’t want to go much lower, though, since that can promote bacteria growth in the heater. 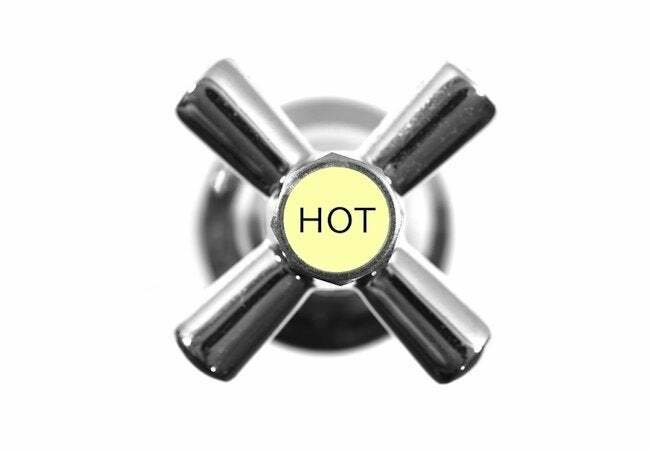 Another important safeguard: Install anti-scald valves in the faucets throughout your home and also in the shower heads. There are several different types of these valves, but they all are designed to shut down the flow of hot water to a trickle if it reaches the faucet at a dangerous temperature. They’re just the thing for older homes whose plumbing was installed prior to new, more rigorous building codes. Best of all, they’re relatively inexpensive and easy to install. There’s probably not a better investment you could make to ensure your home is safe for you and your family.